It may have seemed never-ending, but we promise you, fashion month is officially over. We gracefully braved the hundreds of shows in New York, London, Milan, and Paris, and after sifting through the best of the best, we have come to a final consensus on the styles that will be tucked away in your wardrobes come next season. 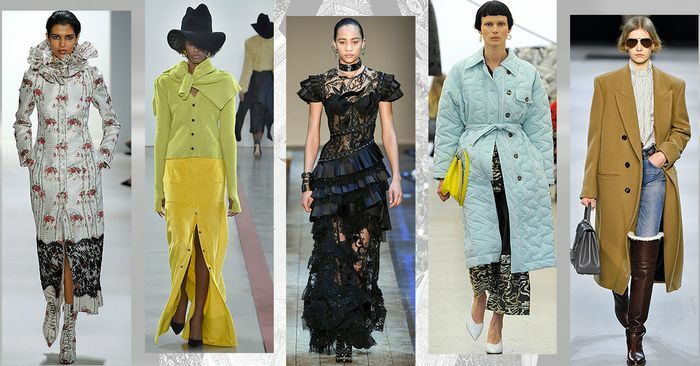 Here, we present to you the biggest fall 2019 trends. We know; we know—spring just arrived, but if we know you like we think we know you, staying ahead of the sartorial curve is kind of your thing, and we fully support you in that. Ahead, follow along as we walk you through the fall 2019 trends that reigned supreme—the ones that are the most important to know right now. But don’t worry. As we said before, there’s much more where this came from, so stay tuned as we continue to cover forthcoming fall styles all year long.